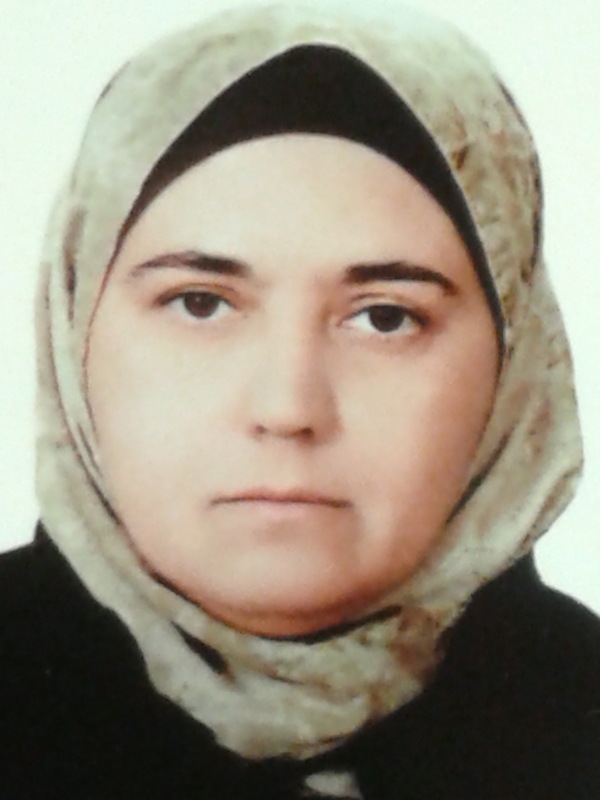 1-	Member of editorial board of the Iraqi Journal of Medical Science (IJMS). (2014-till now) 2-	Member of the Educational guidance committee. (2012 till now) 3-	Member of accreditation committee. (2008 till now) 4-	Member of the scientific committee in department of chemistry and biochemistry. (2008 till now) 5-	Chairman of the audit committee at the Faculty of Medicine (2014-2015) 6-	Advisory Board Member in the INTERNATIONAL JOURNAL OF PHARMA AND CHEMICAL RESEARCH (IJPCR). 7-	Member at the audit committee at the Faculty of Medicine since February 2016. 8-	Member at the American Chemical Society (ACS) since May 2016. Invoice Number: 16541188; Member Number: 31021972. 1-	انتاج انزيم السيليليز في الاكتينومايسيتس المعزولة من الترب العراقية 1988 مجلة مجلس البحث العلمي . 2-	التأثير المتداخل ما بين الاكتينومايسيتات المحلية وبكتريا العقد الجذرية 1988 مجلة مجلس البحث العلمي . 3- Prolactin receptors in uterine leiomyomas. Saudi Med J 2008; Vol.29 (11): 1593-1596. 4- Prolactin profiles and their molecular weights in serum and tissues of patients with uterine leiomyomas in Iraq. Journal of Al-Nahrain University – Science. JNUS 2008; Vol.11 (2): 1-9. 5-Serum protein and prolactin as diagnostic markers. Saudi Medical Journal 2009; Vol. 30 (11): 1411-1415. 6- Comparison between serum prolactin levels determined by VIDAS and RIA techniques. Iraqi Journal for Medical Sciences 2009; Volume 7(4):20-26. 7- Serum protein and prolactin as diagnostic markers. Saudi Med J 2009; Vol. 30 (11):1411-1415. 8- Oxidative stress in recurrent pregnancy loss women. Saudi Med J 2010; Vol. 31 (7): 759-763. 9- Fasting Glucose to Leptin ratio as a New Diagnostic Marker in Patients with Diabetes Mellitus. Oman Medical Journal 2010; Vol. 25(4):269-275. 10-Factors associated with clinical presentation among women with uterine fibroids. Iraqi Medical Journal 2010; Volume 56(1):81-87. 11- Correlation between Microalbuminuria and glucose/leptin ratio in a sample of Iraqi patients with type 2 diabetes mellitus. Journal of biotechnology research center. 2012; vol. 6(2): 42-49. 12- Adsorption of Glimepiride on activated charcoal and Iraqi kaolin from aqueous solution. Iraqi JMS. 2013; Vol.11(1):24-32. 13-	Role of ectopic prolactin on thyroid hormones level in a sample of Iraqi infertile women with uterine fibroids. Iraqi JMS. 2012; Vol.10 (4): 334-338. 14-	Comparison between serum resistin levels in patients with acute myocardial infarction and unstable angina. HMU Journal (Zanco). Online publication 2013. 15-	Body Mass Index and Total Serum Leptin Level in Abortion. Iraqi JMS. 2014; Vol.11(4): 361-367. 16- Ghrelin and Insulin Resistance in a Sample of Iraqi Women with Polycystic Ovary Syndrome.Iraqi J Med Sci 2014; Vol.12(1): 51-59. 17- Evaluation of Serum Leptin and Placental Leptin Receptors using (LEP) Marker in Abortion at Second trimester. IJAR.2015;Vol. 3(2):698-705. 18- The Urinary Oxidative Stress Biomarkers in Preterm and Post-term Delivery.IJAR (2015), Volume 3, Issue 3, 832-838. 19- Advanced Glycation End Products (AGEs) level and insulin resistance in women with gestational diabetes. IJAR (2015), Volume 3, Issue 4, 416-423. 20- THE TIME COURSE EFFECT ON THE PLASMA AND NEUTROPHIL`S LEVELS OF THE ENZYMATIC OXIDANTS AND ANTIOXIDANTS IN UNSTABLE ANGINA AND MYOCARDIAL INFARCTION. IJRPC 2015, 5(4), 645-651 21- A Comparative study of Serum Malondialdehyde and Hexanoyl-Lysine Adduct in Preterm and Post-term Deliveries. Iraqi JMS (2015); 13(2):167-172. 22- SERUM AND TISSUE PROLACTIN AND ITS RECEPTOR IN PATIENTS UNDERGOING MYOMECTOMY OR HYSTERECTOMY. Book of PhD thesis Publish in International Journal of advanced Research web site- Thesis publication-2015. 23- IMPACT OF SERUM PLACENTAL ALKALINE PHOSPHATASE (PALP) LEVEL ON ABORTION. IJRPC 2016, 6(1), 156-161. 24- EFFECT OF MODE OF DELIVERY ON THE LEVEL OF ZINC COPPER SUPEROXIDE DISMUTASE IN UMBILICAL CORD BLOOD. Int J Pharm Bio Sci 2016 Oct; 7(4): (B) 825 - 830.